Unemployment Benefits Runs Out For 150,000 Californians Today. Unemployment benefits will start running out for a 150,000 Californians starting this week, according the the California Employment Development Department. Loree Levy, an EDD spokeswoman, said the people affected are on so-called Fed-Ed emergency aid. People collecting Fed-Ed normally would be able to get 20 weeks of benefits. 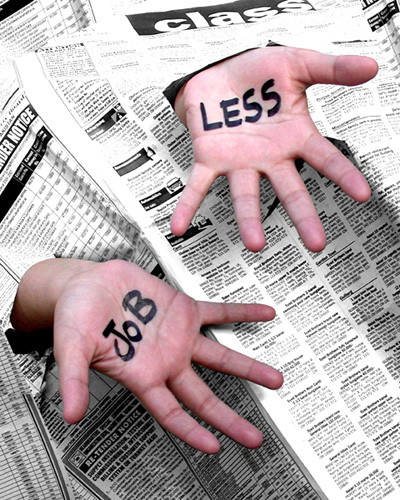 Those collecting Fed-Ed are not the only ones facing a cutoff of jobless aid. They are just the ones that, as a group, will be hit first. EDD estimates 454,000 jobless workers altogether — equivalent to the population of Long Beach — could be removed from the unemployment rolls by the end of the year if Congress doesn't take action. That does not include 250,000 other unemployed workers who have exhausted the 99 weeks of benefits now available and who are not eligible for any more aid. Let me save you the math: over 750,000 Californians could lose their entire social safety net by January 1, 2011 - the population of Oakland and Anaheim combined. Earlier this month, Congress failed to pass another extension of unemployment benefits, All 19 members of the California Republican Caucus. (combined net worth of $672,185,877) who all voted to cut off unemployment benefits. "We cannot continue to pursue these extensions indefinitely, and Congresswoman Bono Mack is unwilling to add $12 billion to the deficit at the expense of our children and grandchildren's futures," Bono Mack (R-Palm Springs) spokeswoman Anjulen Anderson said. Bono Mack is also on the record as supporting extending the Bush tax cuts for millionaires - a move that would blow a $700 billion hole in the budget. No word yet from the Congresswoman on how she plans to pay for that. This might be a good time to reintroduce the CA-GOP Congressional delegation again. Keep these lawmakers on speed dial. Our California Republican delegation in the House of Representatives (combined net worth of $672,185,877) is wasting no time at all getting down to work. One of their first priorities? Shutting down the House Ethics Office. Despite publicly promising more transparency and disclosure of the inner workings of Congress, behind closed doors, the GOP leadership has made moves indicating the Office of Congressional Ethics (OCE) may be targeted for cuts or extinction. According to an email seen by ABC News, Rep. David Dreier (CA-26), (net worth $17,715,000) called the OCE on Friday, Nov. 5, just three days after the midterm elections in which Republicans regained a majority and control of the House. During that phone conversation, ABC's source said, the California representative asked for justification of its continued existence. A memo outlining why the bipartisan group is a service to Congress was then sent to one of Dreier's representatives late Sunday evening, Nov. 7 – right before the 22-member (GOP) transition team convened to begin crafting rules for the operation of the GOP-led House, sources close to congressional leadership told ABC News. At this point, it might be helpful to point out that another member of the GOP transition team, and one of Dreier's fellow CA-GOP Congressmen, John Campbell (CA-48) (net worth $37,282,000), is currently under investigation by the very office they're trying to shut down. The ethics investigation of a Republican congressman from Irvine has been referred to the House Committee on Standards of Official Conduct. The issue is a pair of campaign fundraisers before a key vote on financial reform. Republican Congressman John Campbell publicly denounced the financial reform bill every step of the way. So his “no” vote on the measure, both in the House Financial Services Committee and on the House floor, was no surprise. But in the days between those votes, Campbell held two fundraisers – and they could pose an ethics problem for the Orange County congressman. House ethics rules advise lawmakers to avoid “even the appearance” that political fundraising is linked to votes. A quick Google search reveals that quite a number of the CA-GOP delegation have had their own run-ins with the Office of Congressional Ethics or other law enforcement authorities that could bring them to the attention of the OCE. Jerry Lewis (CA-41) (net worth $1,550,000)- under investigation for his use of the “earmarking” process to benefit a lobbyist and friend, Bill Lowery. Of interest to the investigation is the revolving door between Lewis’ office and Lowery’s – two Lewis staffers have gone to work for Lowery as lobbyists, with one of them coming back to Lewis’ office – and Lewis' earmarking of projects for firms that Lowery represents, which has included the Brent Wilkes-owned ADCS. Federal investigators are also looking into a land deal which protected nearly 41 acres in Lewis’ neighborhood from developers. The land was given to the city of Redlands by Jack and Laura Dangermond. The couple, who founded and operate Environmental Systems Research, Inc., have received tens of millions of dollars in government contracts from the House Appropriations Committee that Lewis chaired through the 109th Congress. 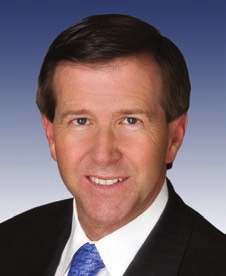 Ken Calvert (CA-44) (net worth $9,799,995) has been on the radar of Congressional watchdogs for quite some time. In just one example, he came to the attention of authorities in 2006 for a shady land deal. A water and sewer district in northwestern Riverside County apparently circumvented state law when it sold 4 acres of public land to Inland Rep. Ken Calvert and his investment partners for $1.2 million in 2006. The Jurupa Area Recreation and Park District had hoped to purchase the land, but it was sold to Rep. Ken Calvert and other investors without first offering the land to other public agencies, a requirement of state law intended to provide more recreational land. The deal allowed Calvert, R-Corona, and his partners to buy public land without competition in a booming sellers' market. Calvert co-sponsored legislation that would increase the water supply of the Jurupa Community Services District and other water agencies by providing money for desalination facilities. District general manager Carole McGreevy, who oversaw the land deal, is also secretary of a joint-powers authority that owns and operates desalination plants in the Chino Basin. Calvert said in a telephone interview that the legislation benefits the region, not just the Jurupa district. Under ethics rules, Calvert has no conflicts of interest as long as he paid market value for the land, according to political ethics experts. But some observers said the deal raises questions. Gary Miller (CA-42) (net worth $84,302,000) came to the OCE's attention in 2006 for allegedly violating House ethics rules when he took out nearly $7.5 million in promissory notes in 2004 from a campaign contributor and business partner, Lewis Operating Corp., which he used to purchase real estate from the company. Lewis Operating Corp., a real-estate development company based in Southern California, is one of Miller’s top campaign contributors; employees of the company have donated $19,300 to Miller’s campaign committee since his election in 1998. "What was done to Tom DeLay and other Republicans in the past was unconscionable. Accusations against them in the form of questionable indictments were used as an excuse to destroy everything they had worked for politically by making them step down from their positions before being convicted of anything. DeLay's treatment was completely unfair and cost him his political career, yet he was never convicted." Delay was convicted on November 24 of money laundering and conspiracy to commit money laundering. It's not a shock that these California Republicans would want to see the OCE disappear, just as it wouldn't be a shock to find out a robber would want the local police station shut down. But if successful, they'll send a hell of a message to voters who swept them into office on a wave of tea-bag fueled rage. They'll change the way Washington does business alright, but not in any way those voters might have imagined or intended. The incident happened back in February, but is relevant to the current discussion because it points up yet again how arbitrary TSA rules are and how capriciously they are followed. Stacey Armato did everything right. She did not want her breast milk irradiated or x-rayed, so she packed it in TSA approved containers and separated them for inspection. She printed out the TSA rules (which clearly states that breast milk can be considered "medical liquids" and not subjected to x-rays or irradiation) to help answer any questions. None of it helped. The TSA agents, who had dealt with Stacey the week before on her incoming flight, were waiting for her. And they wanted to teach her a lesson. I almost never had a problem…until the week before this screening. I was held for 30 minutes that week while the TSA manager called to find out the rules. I was told to “pump and dump,” and asked why the milk wasn’t clear, also asked where my baby was and if it was really milk (uh traveling, working mom pumping doesn’t usually have the baby with her). After begging him to figure it out, they finally let me through. I called and complained to TSA and was instructed to travel with the TSA breast milk rules printed out and present them whenever there is a problem. As my items come through security this time, I notice immediately that I was dealing with the same people from the week before. The woman tells me right away that my milk might have to go through the x-ray, and then I tell her I printed the rules. I go to grab the rules on top of my bag and she freaks out and pushes my arm away. Another guy comes over and calls for “back up” and they put in me back in the glass cage. Standing 50 ft away are the same manager and supervisor I had dealt with the previous week. They will stall for 20 minutes before coming over to me. Meanwhile, one of the guys comes over to me and tells me “to be quiet if I know what’s good for me.” At the end of this portion I have been locked up for just under 10 minutes. The whole ordeal takes just under 1 hour. Stacey only had 40 minutes to catch her flight. After being made to wait in a glass cage for about 10 minutes, she starts to become upset. My patience wears thin and I start crying. It is hard to see on this video, but real tears wouldn’t stop streaming down my face. About 10 minutes into all this, a Phoenix PD comes to calm me down. I explain to him that there is no reason I should be treated this way and I have every right to be upset. He then says “they” (aka TSA) saw me coming, have it out for me (from my complaint against TSA the week before when they didn’t know the breast milk rules then either), and I should travel out of a different gate in future weeks. He said TSA wants me to play along with their horse and pony show and if I don’t then TSA can have the Phoenix PD arrest me! Well, I wanted to get home to my baby and my flight was 30 minutes from departure so I ‘played along.’ Three Phoenix PD watched in the background…I could tell they all knew this was a waste of their time but I was happy to have them standing by in case TSA continued to act out of line. In the end, Stacey missed her flight. You can read more about the incident here. Remember, it's all about making you feel safe, not about actually keeping you safe. Look how far Sarah Palin’s come. It was only two year ago that the former Vice Presidential candidate — and then Alaskan Governor — was giving her first post-election interview just a few feet from turkeys getting slaughtered – a PR nightmare that some though showed her naivete. Cut to two year later, Ms. Palin is the star of her own hit reality show, a best-selling author, a legitimate 2012 presidential candidate and a political force that the has put the established political class back on their heels. And speaking of turkeys, another oldy, but goody. WKRP Turkey Drop from Mitch Cohen on Vimeo. Was I Molested By The TSA? Will You Be?